Made to order. 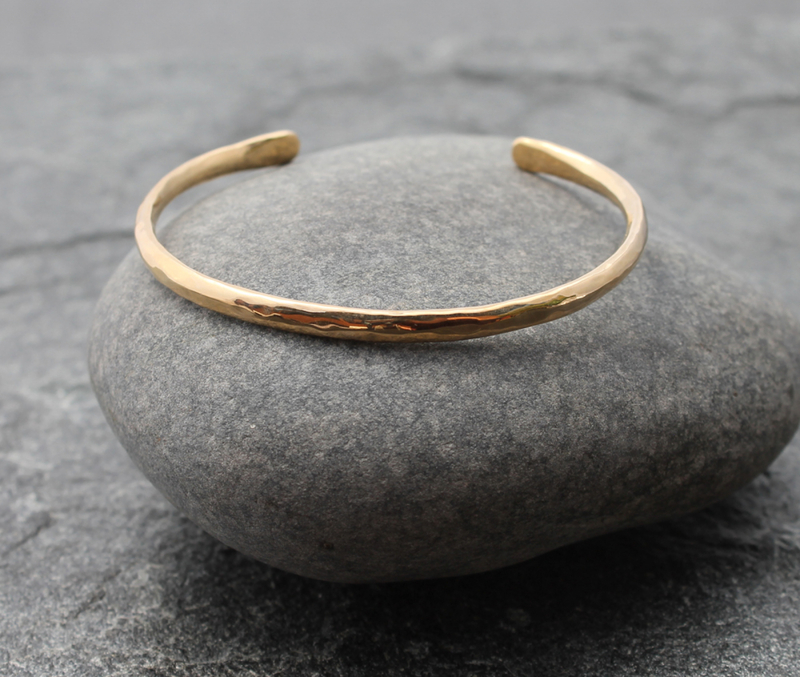 A peaceful and sublime hammered 14k gold bracelet cuff lovingly forged for you in the heart of the Spiral River. 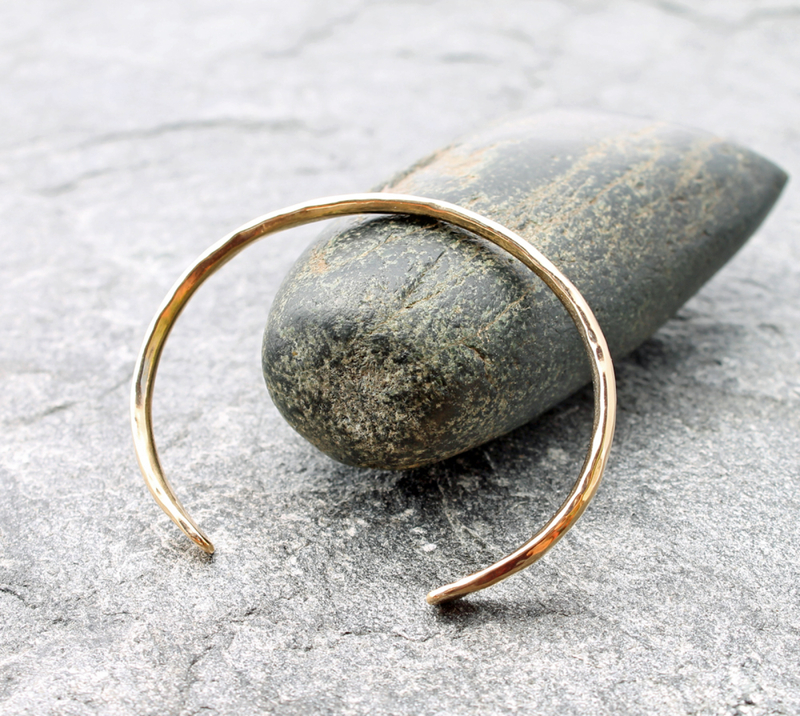 Your cuff will start as 6" long, 3mm square solid 14k gold wire that will be forged into a beautiful cuff similar to the one shown here. 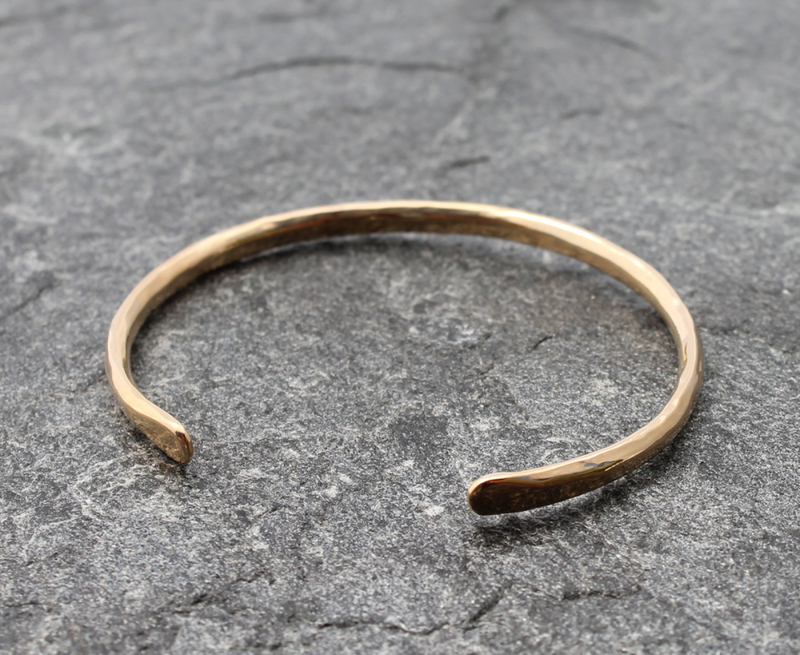 It will fit a 6.5-7" wrist and will have a .75-1" opening. It'll look great on men and women. Please message me if you need a different size - I'll prepare a quote for you. 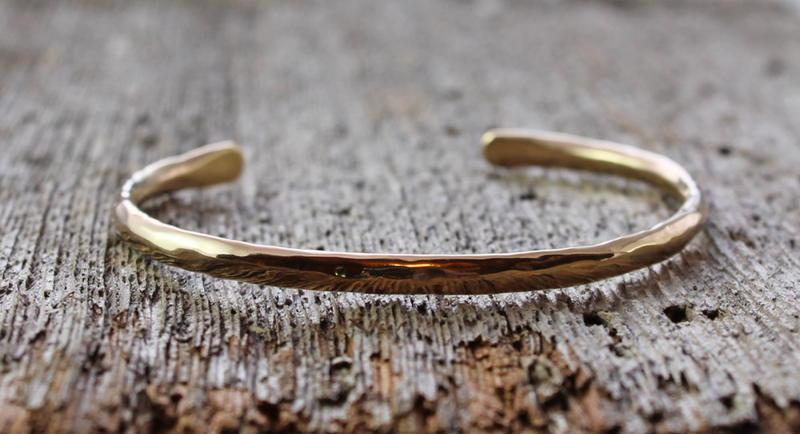 This bracelet will be sent via Worldwide Priority/FedEx to select locations. 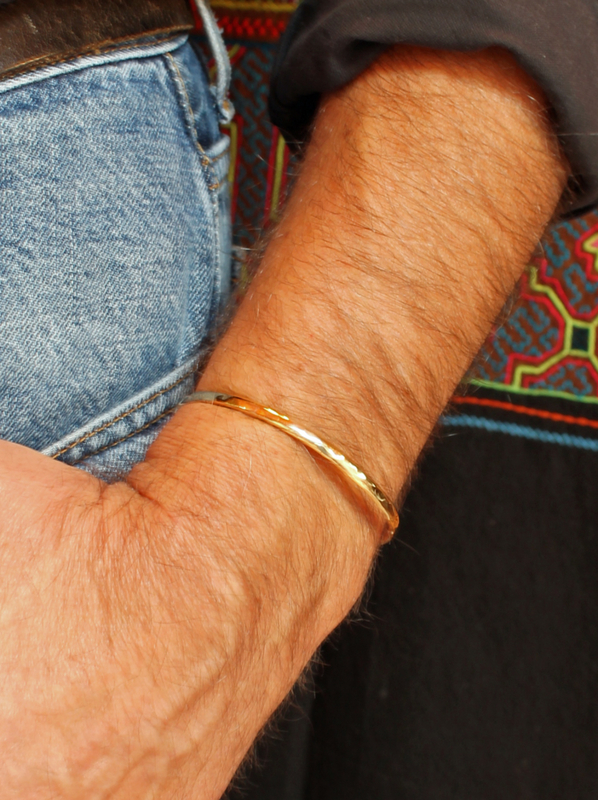 You may need to pay customs and duty upon receipt of this bracelet. Please be sure to read my shipping polices before you make a purchase.